Didn’t go flying yesterday – turned up at Waipukurau Airfield but there was too much rain around so we arranged to go again on New Year’s Eve. 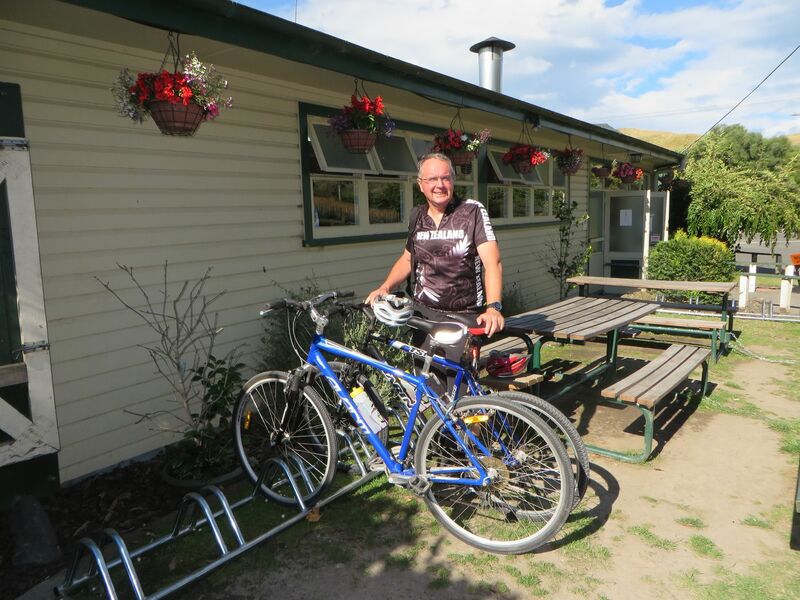 Today was a ‘free’ day so in the afternoon we did a 30 mile / 49km cycle ride from Bluff Hill, passing by The Mission and following the river (using the cycle paths) to the Puketapu Pub where we stopped for a coffee. Yes, ok, I know it’s a pub, but it was a coffee. Really. Then we returned via the other side of the river and followed it all the way to Awatoto and the coast. We knew we were going to be in trouble when we saw how horizontal the smoke was from the Awatoto Fertiliser Works and in most definitely the wrong direction, meaning our cycle back along the coast was very hard work. The final stretch up Bluff Hill was the final killer though. Hopefully all this time sitting on a saddle will be worth it for making the Timber Trail cycle next weekend much easier!